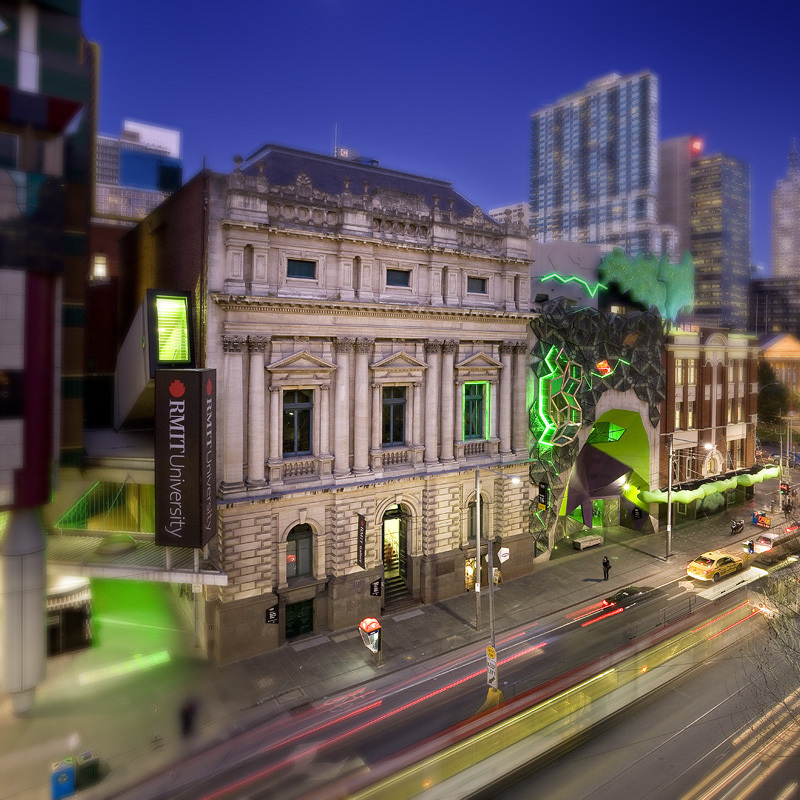 RMIT Gallery is RMIT University’s premier exhibition space and plays host to a broad range of national and international public exhibitions across fine art, design, craft, fashion, new media, technology and popular culture. In addition to its life as an exhibition space, RMIT Gallery regularly features supplementary events to engage the public with, including regular floor talks, lectures, discussions, public events and publications to coincide with exhibitions. With its lively calendar of events and a focus on the social side of experiencing art and culture, the space is an avenue for students and the general public to engage with, and think about, contemporary culture.